Coron is well blessed with a wide range of dive sites to suit all tastes and levels of experience, from shallow reefs to advanced wreck diving. The major attraction however is undoubtedly the wrecks of the Japanese supply fleet sunk in September 1944. Here are the details about the history of the Coron wrecks. The ship was quite large at 9723 tons, 146.9 metres in overall length and 19 metres wide. The engines were two steam powered geared turbines (8300 shp) driving twin props. The steam came from 6 Kampon boilers; the engines provided a maximum speed of 17.5 knots. 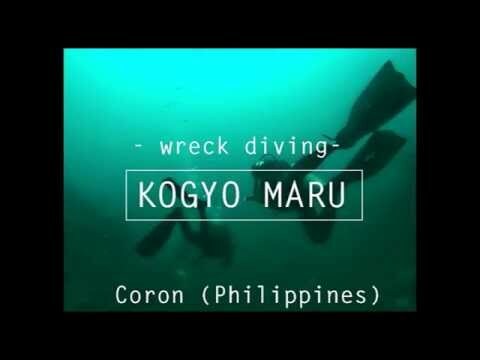 Probably the best wreck dive in the Philippines. 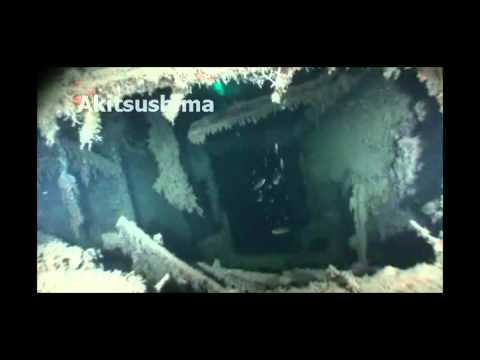 The Irako is quite intact and because of the good visibility you know you are on a big shipwreck. Big groupers, schools of tuna and yellow fin, lion fish and scorpion fish live around this wreck. Two sea turtles live in the crumpled and folded metal of the superstructure. As at August 2005 there is a huge column of Jacks inhabiting the bow area and an extremely beautiful ray of some 2 metres in width could be seen around the mast. There is a beautiful deep penetration through the engine room for trained, experienced and properly equipped divers. Irako usually has the best visibility of all the wrecks in Coron Bay. This dive is best made at deck level while breathing 32% Nitrox for a 50% increase in allowable bottom time. Penetration of the interior would require 30% or 28% Nitrox depending on which deck level you wish to swim through. Max depth: 43 meters on the bottom, deck level at 28 to 35 meters. Recommended certification level: Advanced Open Water Diver, Deep Diver Specialty, Wreck Diver Specialty. A Japanese tan ker, 168 m long. Location: Busuanga Island, 2 miles south of Conception N 12*.01. 128′, E 119*.58. 176′. In length, width, and volume the largest of the Coron wrecks. At this depth you may be able to make an hour-long dive. There are many penetration possibilities for advanced wreck divers including penetrating up the propeller shaft from the outside of the ship all the way into the engine room. Strong tidal currents often affect this wreck. Diving in strong currents lets you see the most fish. At the bow you can see a school of snappers and huge bat fish holding position into a slight current. Large fish shelter out of the current behind crumpled metal and inside of the deckhouses .There is also a large resident grouper near the bottom. This dive is best when made while breathing 36% or 38% Nitrox for a 75% increase in allowable bottom time. Dives in excess of one hour are common on the Okikawa Maru. The following is credited to David Hendricks from Guam who is a great dive buddy as well as a great guy. This dive is best made while breathing 31% or 32% Nitrox for a 50% increase in allowable bottom time. The Kogyo Maru, located N 11*58. 782′ E 120*02. 413′, was a Japanese freighter carrying construction materials for building a runway for the Japanese war effort in the Pacific. The Kogyo Maru was built in 1938 by Uraga Dock Co Ltd, Uraga, Japan for Okada Gumi KK. The ship was 6353 tons, 129 mts long, and 18 mts wide. She was powered by two oil fuelled steam turbines (517Nhp) geared to a single shaft. The engines were built by Ishikawajima Shipbuilding and Engineering Co Ltd, Tokyo. Her home port was Osaka. Lying on her starboard side in 34 meters of water the Kogyo Maru offers swim throughs into all six holds and through the engine room and bridge area. 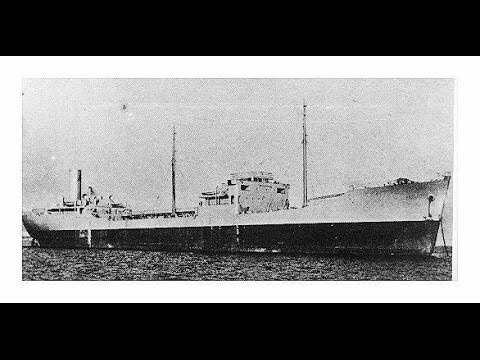 Kogyo Maru’s second hold contains an incline of cement bags which tumbled as the ship sank. A small bulldozer draws your attention as you swim into the hold. Complete but encrusted, you can imagine the operator sitting in the seat and working the control levers to carve a runway out of a tropical island. Engrossed in the bulldozer you might fail to look up the incline of cement sacks and so miss the tractor and air compressor perched above it. Take the time to swim up and look at both pieces and see how many of the engine parts you can identify. It’s complete. Check out the metal wheels on the tractor. Coming out of the hold swim up the front mast, now horizontal, and on your left side. At the top of the mast look at the crow’s nest and imagine what a lookout would experience when perched 30 meters above the water in a Japanese winter storm. Swim back over the deck to the bridge and engine room below it. Enter both from the stern side for easier access. Swim through the cavernous engine room and look at the hardware then out through the bridge. If air is low go up to the port side of the bridge and look at the soft corals growing there and the fish life living on this artificial coral reef at 22 meters. If you have enough air continue below deck level to the stern looking at all of the deck hardware for moving cargo and working the ship. Pass around the stern and then go forward over the port side to return to the mooring line. You pass over hard and soft corals covering the side of the ship. On this dive keep your head and eyes moving like a fighter pilot’s to see the school of barracuda which will swim by. If you only look at the Kogyo Maru you will miss the barracuda. This dive is best when made while breathing 31% or 32% Nitrox for a 50% increase in allowable bottom time. If you dive the Kogyo Maru with a 100 cubic foot tank of Nitrox 32 you have enough gas mixture and a long enough No Decompression Limit to cover the whole ship on one dive. Max depth: 34 m, average 24-26m Recommended certification level: Advanced Open Water Diver, Wreck Diver Specialty. A Japanese Freighte r sitting upright in approximately 30 mts of water and located very close to Tangat Island in Coron Bay. 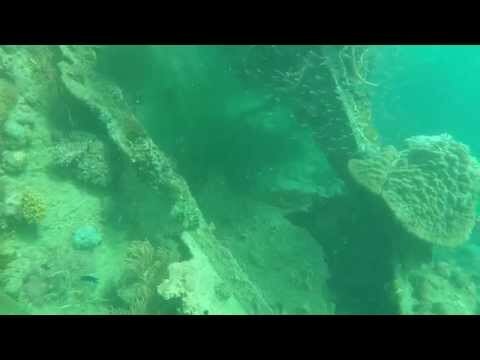 A very good dive spot with a variety of marine life. Large shoals of banana fish, giant bat fish and giant puffer fish, especially around the mast, bow and stern. There are also specimen crocodile fish and scorpion fish so be careful where you put your hands. Easy penetration at the cargo rooms. 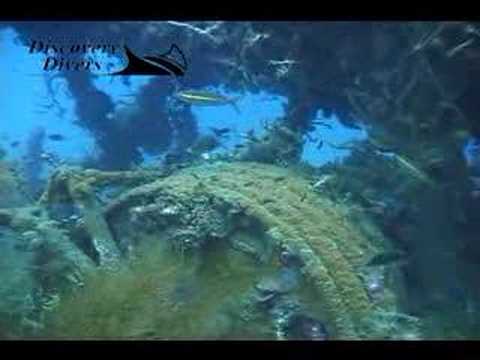 It offers a good opportunity to discover wreck diving. This dive is best when made while breathing 36% Nitrox for a 75% increase in allowable bottom time. Max depth: 28-30 meters, deck level 18-24 meters. Recommended certification level: Advanced Open Water Diver, Wreck Diver Specialty. 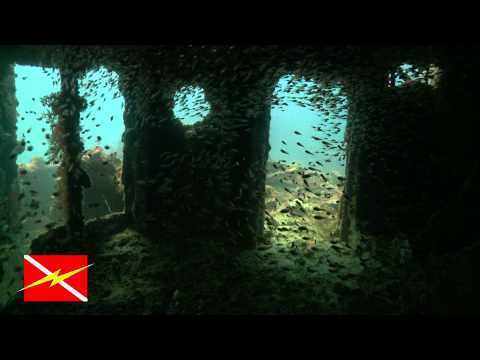 This is a beautiful wreck dive site where you can observe groupers, sweetlips, occasionally turtles and sea snakes. Hard corals cover the port side, which is only 12 to 16 meters below the surface. See if you can find the two resident trumpet fish that hang out half a meter over the port side corals. Many scorpion fish hang out around the wreck area. Keep your eyes open and stay neutrally buoyant! 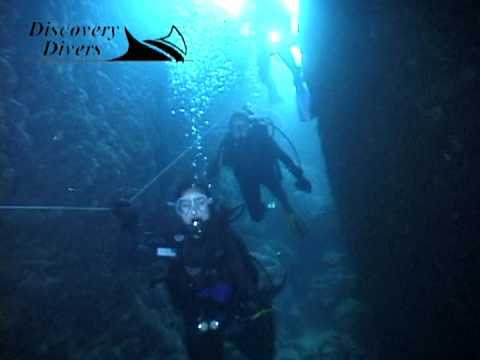 The big cargo rooms and the engine room allow easy penetration of this wreck for Wreck Diver Certified divers. If you dive from 10am to 2pm on a sunny day you get a cathedral like effect from the beams of sunlight entering the cargo holds through the holes in the port side. 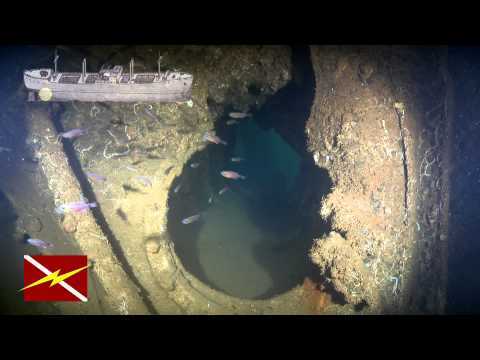 The two massive boilers in the centre of the ship are a big attraction on this dive. You can pass behind the boilers and see the damage resulting from one of the bomb strikes that disabled the ship. It is possible to do a swim-through and pass from bow to stern without exiting the ship. This dive is best when made while breathing 36% or 38% Nitrox for a 75% increase in allowable bottom time. This ship was a small g unboat or submarine hunter 40 meters long. Location: Inclined on the coral reef on the east side of Tangat Island. This dive site is good for wreck diving beginners and underwater photographers. It is also a lovely dive between deeper wreck sites. The wreck starts at only 3 meters down so even snorkelers can see the shape and explore the bow of the ship. Max depth: 22 meters. Recommended certification level: Skin Diver, Open Water Diver. 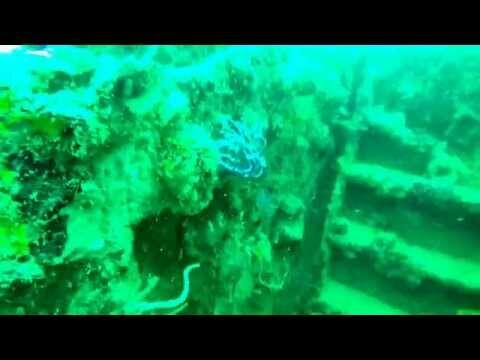 This wreck was also a gunboat or submarine hunter. The stern breaks the surface at low tide. Location: In front of the east side of Lusong Island. Max depth: 11 meters. Recommended certification level: Skin Diver, Open Water Diver. This wreck was beached with the bow a dozen meters from Coron Island. The stern points directly away from the island. 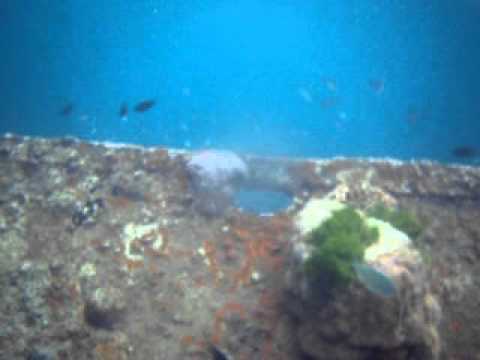 The wreck slopes along the reef from 5 meters deep at the bow to 22 meters at the stern. A pass through on the starboard side of the hull at 14 meters allows you to swim from the inside of the boat out over the coral reef. Max depth: 22 meters on the bottom. Slopes from 7 to 22 meters. Recommended certification level: Skin Diver, Open Water Diver. Location: Coron Island. A recently sunken fishing boat approximately 35 meters long at Coron Island, near the entrance to Cayangan Lake. 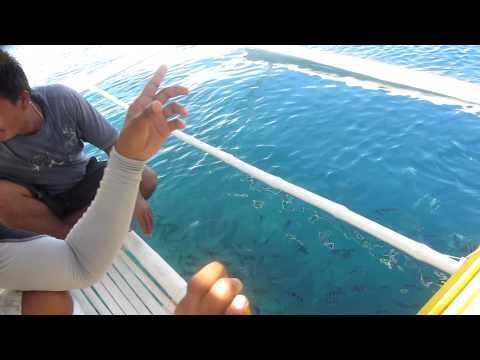 This is an easy wreck dive site for all beginners or in combination with the Coron drop off. It is also a very interesting night dive site. Max depth: 16 meters. Recommended certification level: Open Water Diver. Location: North end of Coron Island. This spectacular dive starts with some challenging mountain climbing in full diving equipment over sharp limestone cliffs. We do wear tennis shoes or sandals and carry our fins strapped to our tank. The climb only takes 10-15 minutes and the exertion is worth it. The scenery around the lake is spectacular and the under water terrain has been likened to flying over the surface of the moon. The top 4 meters is warm fresh water. Below 4 meters the water is salt. There are dynamic changes of water temperature in the lake with temperatures ranging from 28 to 38 Celsius. You can even see the thermoclines at 4 and 14 meters. At 34 to 35 meters the water changes from crystal clear to tea brown due to the tannic acid in the leaves that fell into the lake. After cooking and boiling, you will meet the “king of the lake.” It is a barracuda approximately 1.5m long that likes to guide divers around his domain. It is a good chance for underwater photographers to get a close-up of the big barracuda. A dive that you should not miss! Max depth: 35 meters. Recommended certification level: Open Water Diver, Mountain Climbing Diver Specialty. 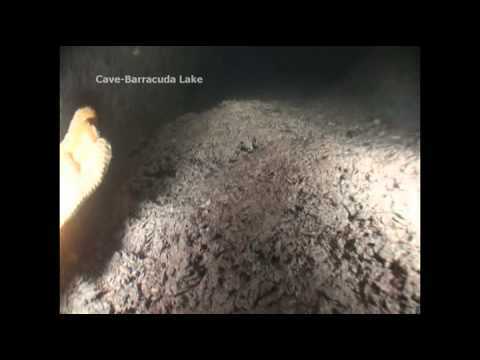 A very deep and serious cave in Barracuda lake entered from Barracuda Lake at 33 meters depth which allows a penetration of 30 meters. Location: North Wall of Barracuda Lake starting at 33 meters deep. The cave has been marked with a fixed line on the right side as you enter. The cave is just large enough to allow one diver to swim in and turn around. The silt and sediment on the bottom is packed and should remain down with reasonable care by the diver. This cave is dark and the sediment is dark and gives an eerie sensation. Proper equipment would be a light with backup and at least an octopus with a 7-foot hose or redundant alternate air source. The current in the cave tells you that it is connecting Barracuda Lake to the ocean. This is a dive that you should not miss if you are prepared. 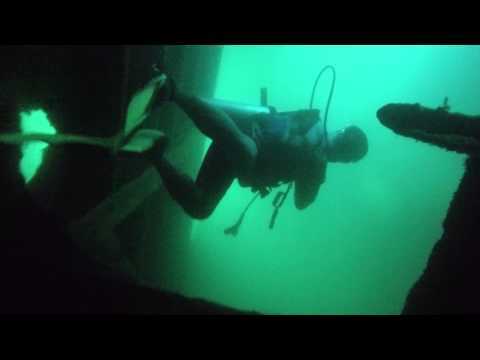 The combination of mild nitrogen narcosis at depth and the dark confined surroundings on this dive will tell you if you are claustrophobic for continued cave diving. Max depth: Please do not descend below 40 meters! Recommended certification level: If you limit your penetration to a maximum of 40 meters total distance from the surface (a 6 meter penetration) then Advanced Open Water Diver with Deep Diver Specialty and Cavern Diver Specialty is sufficient. If you wish to penetrate beyond 40 total meters from the surface then you should be Cave Diver trained and carry the necessary redundant equipment. A cave under Coron Island, Palawan directly connected to the sea. Location: South end of Coron Island on the East side. Cathedral Cave is a beautiful dive spot. It starts 6 meters deep at a hole in the bottom of the sea next to the sheer rock wall of Coron Island. You enter a tunnel and descend to 12 meters. If you take the time to look, you see the antenna of juvenile lobsters waving from holes in the tunnel above and out from under the rocks below and cowry shells clinging to the ceiling of the tunnel. Then you pass out of the tunnel and see a shaft of daylight penetrates the interior of a cave. The roof of the cave has collapsed sending down a full sized tree. The skeletal trunk and main branches of the tree rest on top of the sand mound in the middle of the cave. You follow the light and surface inside a big underground cathedral. You pass over the sand dune and continue ahead and left to another passage that leads to a chamber with an air pocket above ocean level. Back through the tunnel into the open sea and you dive among beautiful corals with 20 to 30 meter visibility. 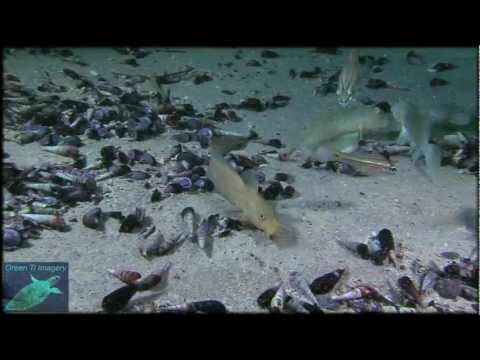 A dive you should not miss! Maximum depth: 10 meters inside the cave. Recommended certification level: Advanced Open Water Diver, Cavern Diver Specialty. Weather Advisory: Cathedral Cave CAN ONLY BE ATTEMPTED in calm weather with slight waves. It would be physically dangerous to attempt to enter the tunnel in the surge generated from large waves. Location: Close to Black Island Beach in front of the stranded vessel. This wreck is located 3.5 hours away from Coron. It is dived as a day trip with a 7 am departure. You would normally make one dive here and dive the Okikawa Maru as a second dive on the return trip. This dive site is perfect for beginner wreck divers and underwater photographers. It is a beautiful dive in clear water. You can see plenty of scorpion fish, lion fish, trumpet fish, groupers, and bat fish. This dive is best when made while breathing 32% Nitrox for a 50% increase in allowable bottom time. Max depth: 32 meters. The wreck starts in 21-meter deep water. Recommended certification level: Advanced Open Water Diver, Wreck Diver Specialty. Japanese freighter approximately 160-180 meters long. Location: Northeast of Busuanga Island. Due to it’s distance from Coron this wreck is dived by a one hour jeepney ride to the north end of Busuanga and transferring to a rented dive boat. This is done as an all-day trip for two dives on the Kyokuzan Maru. Max depth: 40 meters on the bottom. The deck level lies between 22 and 28 meters. Recommended certification level: Advanced Open Water Diver, Wreck Diver Specialty.